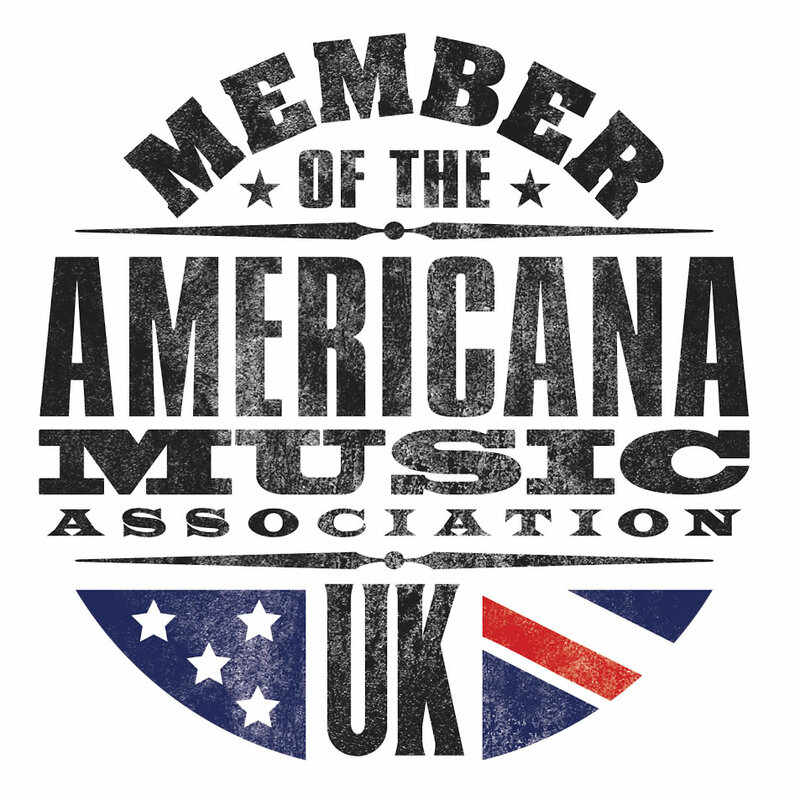 Stevie Freeman is the Chair of the Americana Music Association UK, the trade body for the genre and its musicians in the UK, with the express aim of further the exposure of its artist in the UK and beyond. She is also the co-owner of Union Music Store (and its associated label and promotions) in Lewes; this year the AMA-UK showcased some of its members on the Friday stage at Maverick Festival, Suffolk – the best Alt Country festival in the UK. 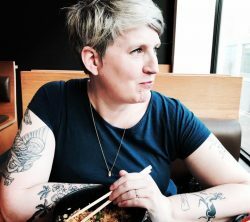 Rudie Hayes talks to her about the organisation and its future plans. Membership is healthy at almost 600 members and we are thrilled to say it’s growing steadily, lots of new bands forming in this genre and realising that we are here to help them – it’s so worth being a member for the networking alone but also we have had stage take overs at 5 festivals across the country this year and members have had the opportunity to apply to play on these. Members also all have the right to nominate and vote in the awards – we are a very democratic association – no secret circles! The late Bob Butler from Grapevine music agency called me up late 2012 to tell me that he and Bob Paterson (BPA) had formed the AMA-UK with the blessing from AMA in USA and were gathering a board of people from all elements of the genre, music industry – I was asked as a retail element. A year later I took on the role of chair temporarily as Bob Butler became unwell – when it was clear he wasn’t able to come back in that capacity he asked the board to vote me in as the Chair of the board and the rest is history. Who else is on the board? We have a great and varied board at the Moment: Howard Mills who is an artist manager and has worked in the music business for many years, Ian Thomas who is a partner at MGRWK accountants for touring musicians, Trudie Myerscough Harris who runs WBBC and Under The Apple Tree, Baylen Leonard who is a radio DJ for Radio 2 and other stations as well as a curator for Nashville Meets London Festival, Kim Bayley from ERA and Record Store Day and Paul Fenn from Asgard Agency. Then we also have amazing associate board members Ethan Johns, Mary Gauthier, Billy Bragg and Ralph McLean. What’s your definition of ‘Americana’. How are you trying to help? Working for the AMA-UK has become a huge part of my life, I see how the things we are doing are helping bands move up, where they otherwise may have not got noticed so quickly – for example a few bands that were showcased in London one year then got selected to come showcase in USA and then nominated the next year at our awards… that’s a journey that we took together. The bands worked hard and we were there to support them in many ways. Another thing I feel passionate about is the charts – as a retailer it was something I saw needed addressing from the get go, so I set up a meeting the Official Charts Company who were really receptive to the idea and are also now really proud of the chart and the joint award we have attached to it. For the annual best selling Americana Album, this award went to Van Morrison in 2016 and we were delighted that he came to the ceremony to collect his award in person. The charts took two years to come into fruition and are now a great asset to the genre, the bands and the labels as well as the retailers – our next move is to really try and get mainstream radio and media to take more notice and report on the charts – thank you to Americana UK for holding the torch for this and already highlighting the charts! You’re welcome! Do you find people are receptive? More and more so – like the genre itself the audience and the musicians are also developing. I’ve noticed a younger generation at gigs and events and this is exciting – they are not taking over, fear not, but this genre is becoming ageless and that is great for everyone. Are the artist themselves supportive? This year we have had five stage take overs at festivals and this has given a lot of artists the opportunities to be involved, not just to play a festival stage but also in an area they may not normally come to – we had 4 bands from Liverpool selected by a festival in East Sussex – this would never have happened without our intervention. I’ve really enjoyed being at the festivals meeting the members and hearing them play – it’s exciting for me and for them to know we are here and working tirelessly for them and the genre they work in – High tides floats all boats after all, and I think the artists are really starting to see this. It’s a very lovely community based genre. Is it primarily a musician’s organisation? No it isn’t but it seems for now we have lots of initiatives going on to help the musicians – but this in turn works in favour for managers, booking agents and labels too. We have really been thinking long and hard about working out a ‘supporters’ membership – Americana audiences are loyal and great and it would be lovely to have a group for them too. 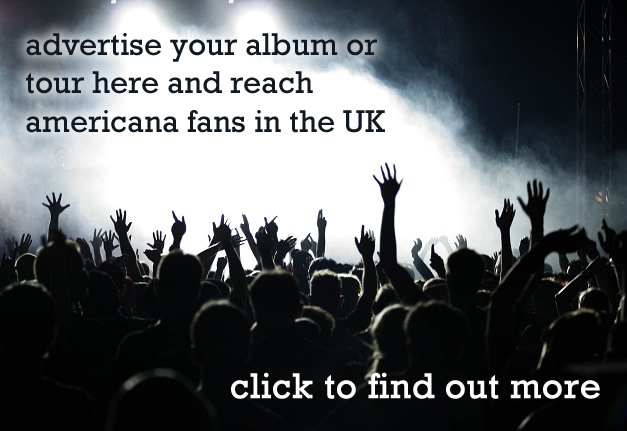 At this stage we just have to keep working to provide opportunities for people to see great Americana bands play – AmericanaFest UK in 2018 is a good example – we went from one venue in year one to three this year and will have 5 in 2018 – with a wrist band of around £20 you can walk around Hackney and see so many incredible bands from the UK, EU, USA and Canada. Have the specific charts helped? I touched on this earlier – short answer is YES, but we still have work to do. The thing that made me really happy was on the 1st anniversary of the chart Courtney Marie Andrews went straight in at number one. This was on a UK independent Americana label Loose Music – I couldn’t have hoped for a better result. Clubhouse Records have also had 2 records chart in the top 30 and Loose have had a few chart successes including Danny and The Champions of The World go in at No 6 this week – I felt happy raising a glass to that on Friday evening! I must point out that Jed Hilly from AMA was thrilled with our chart as it made Billboard take notice and they have since also opened an official Americana Chart. A few people have said its very southern UK focused? Well in some ways it is – most of the board live in the South, we have had board members from further afield but it’s too costly to come to meetings and then it’s hard to keep involved. Due to the level of work in organising AmericanaFest UK we have chosen to host it in London because we need to be highly involved and we live in the South – it’s also easy to get to for international delegates – but it’s not fixed to be hosted here forever – once it’s really established who knows. However our festival takeover project this year has taken us from Sussex-Suffolk-Gateshead-Perth. Something that has come from this is getting to know these bands from Manchester and Liverpool face to face, they were so happy to have the opportunity to play in the South, and London bands are excited about being selected to play in Gateshead and Scotland – I’m starting to talk to a bunch of Northern Americana artists about getting more active. Rome wasn’t built in a day – we are getting there and we will work out more ways to be focused on the bigger picture. Really open to ideas as well! You’ve created a lot of great opportunities for UK musicians – what’s coming up? Right now we’re working on the USA trip in September – it’s going to be bigger and better yet again with more UK artists invited to showcase than ever before. We have a venue booked in for the whole week and will be hosting various events, we have an official UK panel at their conference and will be co-hosting the Breakout BBQ with The British Underground. 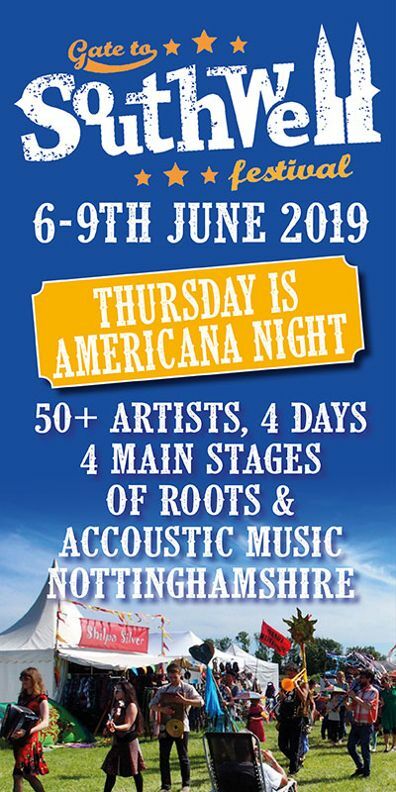 In the UK we have just had a SummerTyne stage over two days and the Southern Fried Festival and are now into full organisation for AmericanaFestUk 2018. You best tell us about the conference next year before we let you go. The conference is Jan 31st & Feb 1st 2018, and this will be held at a new venue next year as we sold out and need to expand. We have lots to talk about and reflect on, so it should be another vibrant two days of discussions and networking – it’s sad to admit but I’m pretty excited about it already! AmericanaFest UK will be over five venues in Hackney and as the Awards show also sold out we are also moving to be at The Hackney Empire for 2018! I feel excited by the big and bold steps – I look forward to lots of people coming along to enjoy whats on offer.